Talk about convergence! 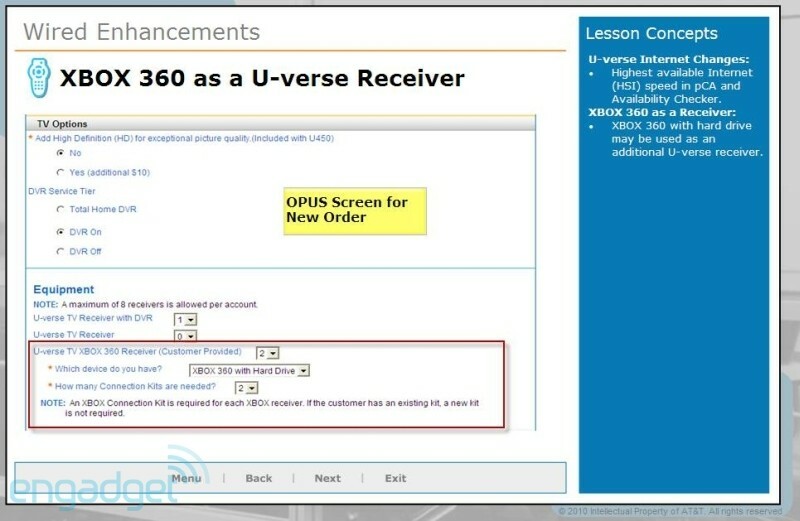 AT&T is getting set to launch a new dashboard app for the Xbox 360 this November that will allow users to set the game console up as an additional U-verse set-top on the home network (will require a “connection kit” for each console). Once configured, the Xbox 360 will become, in essence, a U-verse receiver capable of accessing TV programming and DVR content. I know Comcast has been knocking AT&T’s U-verse service as of late, but AT&T now has two pretty trick features up its sleeve the competition doesn’t: mobile cloud TV show downloads and Xbox 360 U-verse receiver options.